January is the time of year that there are hundreds, if not thousands of stories about the new tech gadgets and technological innovations coming this year and next. This is largely due to the year starting out with the CES show in Las Vegas and the North American International Auto Show in Detroit. Both shows are seductive and enticing. Why else would you join 175,000 of your closest friends for three days of madness in Las Vegas or 800,000 in Detroit for a week. Cool new stuff and cool new rides! It used to be that both shows focused on what electronics or cars the consumer would be buying in the fall and holiday season. Now they are much more technology events. The CES is no longer run by CES but by CTA, the Consumer Technology Association. The focus on technology changes the nature of both shows. They are now about the new technologies that will be a part of our lives in the years ahead. 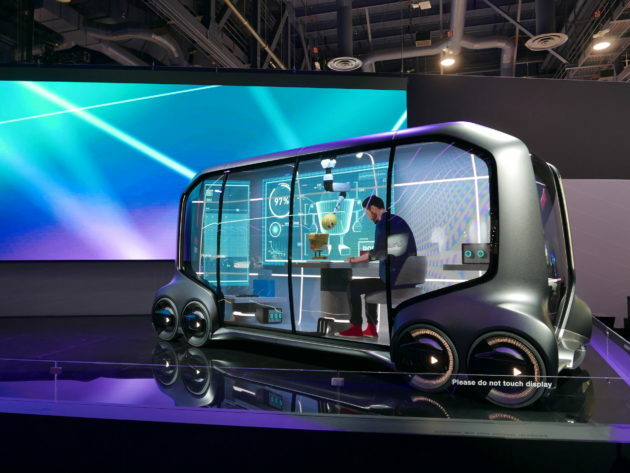 A lot of the coverage is and will be about AI, Smart everything, touch and voice interfaces, autonomous automobiles, electric cars, all kinds of cool new screens and robots, robots and more robots. This is all very cool and makes us swoon about all this new stuff. All the stories are about tech, features, design, and innovation. What needs to happen is to first think about which technologies will actually get wide market acceptance and then how will these change society and economics. When people first find out I am a futurist, a good percentage immediately say: “So you talk about the future of technology?” I always answer the same way: “Yes I do talk about new technologies, but much more importantly I talk about how these technologies will affect humanity, society and economics”. So, which technologies will go mainstream and gain wide market acceptance? Anything that is “smart” and based upon what we currently call AI has a great chance. AI and Machine Learning is THE dominant new technology. Whether any particular gadget or company succeeds in this realm is up to the standard business concepts of good idea, good team, good marketing and financial wherewithal. Simply put, we are moving from a reality where we are smart and the environment is not to one where the environment is smart and we interact with it. Electric Vehicles [EVs] and Autonomous Automobiles [AA, driverless cars] are entering the first stage of explosive growth. My estimate is that by 2030 75-90% of all vehicles on the road in the U.S. will be EV or Hybrid and that the percentage of Autonomous Vehicles will be at least 30% of vehicles on the road. There are always new types of large flat or curved screen TVs at CES. Increasingly they are cool but iterative. As with smartphones, most of the functionality needed for a great experience is already owned by consumers. So, TVs are in the mature, new feature stage. They may be purchased, but they don’t change our lives much, except for being a few thousand dollars poorer. Kitchen appliances? When was the last time you walked into your kitchen and thought that there wasn’t a way to cook, cool or heat your food? If it isn’t “smart” it isn’t needed. Do I even need to mention cameras and video cameras? In the last 20 years, cars have had ever more technology. This year, and for the next 10 years, the two technologies that will be in ascendancy will be electric power for all and driverless technology for an ever-greater percentage of vehicles. So, how will society, culture, business and economics be changed due to these new technologies? The changes from internal combustion engine [ICE] to electric plug-in will obviously have huge ramifications. Air pollution declines. Gas stations either become charging stations or close. Auto dealerships either close or find a new financial model. Generally speaking the service department of a dealership tends to be the highest margin part of the business. Well, the average Tesla – the only brand out there with scale- has 150 moving parts. An average ICE car has 10,000. What do you think will happen to the auto parts/service/maintenance/oil and lube businesses? Most will close. In addition, the energy models will change. EVs will soon allow owners to sell or share energy. Change the vehicle overnight when energy costs are low and resell during the day when they are the highest. Cars become more than transportation; they become sources of sharable power. Autonomous Automobiles will change our entire landscape. What happens when the most dangerous part of the driving experience – the human driver- is gone? 97% of all auto deaths are due to driver error. So, the automobile insurance business may well be toast. People buy insurance to cover themselves as drivers, with collision added in as an option. In addition, it may well be that the majority of AAs will not be owned by individuals but by fleet service entities. Tens of millions fewer Americans will need auto insurance. Car ownership will plummet. The average American uses her car 4% of the time. That means that 96% of the time the car just sits, depreciating. One drives to work for 30 minutes and then the car sits, waiting for the driver to drive it 30 minutes home. AAs will be able to operate 24 hours a day, knowing when to go get a charge. A person has a AA pick them up for the 30-minute commute, while she works or consumes media, and then has the AA take her home. In between that AAs can take people on errands, drive people to work, pick up the kids from school. Parking lots will either go away or get converted with charging stations to become parts of a network of energy nodes. AI and Machine Learning is the single biggest new technology since electricity in terms of how much it will change how humans live, work, play and evolve. That is for future columns.